Social opportunities, community and recreation for individuals with an acquired brain injury. Drop-in Centres provide social, community and recreation opportunities in a safe, supportive environment for individuals with an acquired brain injury. In 1999, Mary-Ann Kostelyk stepped off a curb and was struck in the head by the mirror of a passing cargo van. The accident left her with massive injuries to her body and her brain. She was in a coma for a week with her parents holding a prayer vigil at her side. The damage done to Mary-Ann’s brain meant learning to walk again, first with a walker, then with a cane. Even 15 years after the accident, she still has mobility challenges. She says that some days it feels as though she’s walking on pillows. Although she lives on her own, she cannot work, does not drive, and she relies heavily on her family and her community for her daily care. Despite all these challenges, Mary-Ann lives an abundant life and maintains a positive outlook. She describes the Brain Injury Drop-In group that she meets with twice a week as a lifeline for her. Along with social aspects like sharing meals, making music and playing games, the Brian Injury Drop-In group also has educational workshops on topics like self-esteem and positive thinking. Mary-Ann would also count the friends she has made through this group as blessings. For her, the group has become an integral part of her health and well-being. 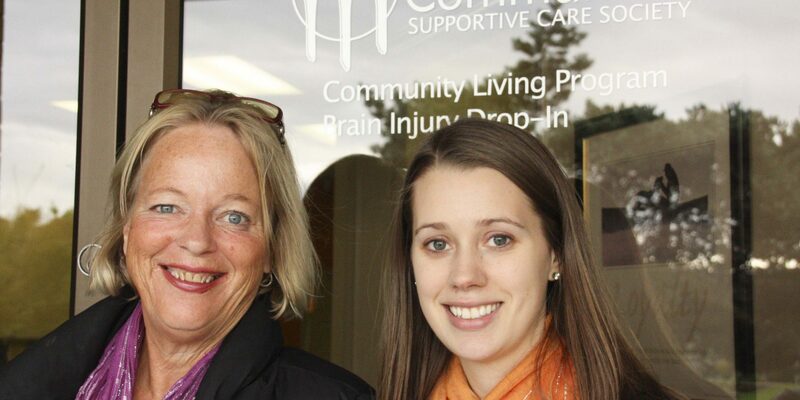 Drop-in Centres are located in Abbotsford and Chilliwack and are funded through Fraser Valley Brain Injury Association and Fraser Health's Acquired Brain Injury Services.